Your website is often the first point of contact you’ll have with your customers. First impressions count. 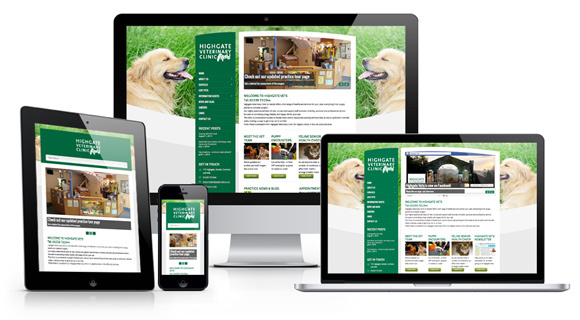 Engage visitors, foster curiosity and generate sales with an effective website. Whether you need a new website or require work on your existing website, our team use the latest technology to help you achieve your aims and objectives. Your business is unique. That’s why we tailor every website design project with the aims and objectives of your business in mind. Beginning with a friendly consultation, your current website, if you have one, is evaluated and an effective plan of action recommended. For projects where there is an existing website we can look at any statistical data available and evaluate what is working and what might be improved. For projects where no data is available we can make recommendations or, if time is on your side, we can install analytical tracking software and gather base data to work from. This evidence-led approach ensures your new website performs to the best of its ability. In an increasingly mobile world it is essential that your website is usable on a variety of devices, including desktop computers, mobile phones and tablets. Using the latest ‘responsive’ design technology, our design and development studio ensures your website performs well on a range of devices. By using the latest best practice design methods and modern marketing techniques, our designers and marketers work together to produce a website that is both aesthetically pleasing and produces your desired results effectively. This approach sets us apart from our competition as we apply marketing principles throughout the design process. View our full range of marketing services. 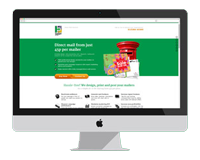 Please contact us today to discuss your web design requirements. Copyright © 2018 Badger Press. All Rights Reserved.